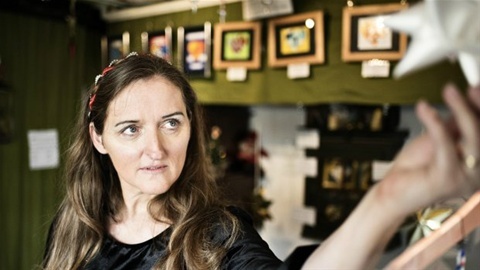 Lisbet Lark never contacts the press. 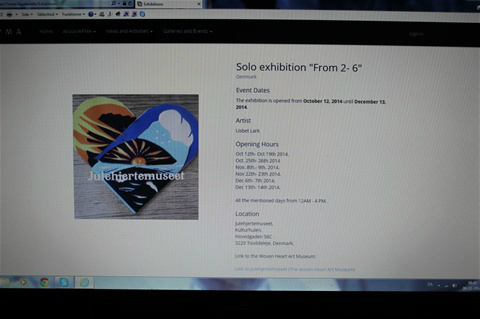 In 2016 she is selected and will be included in the big artbook "Current Masters" from publiser World Wide Art, USA. Week 47, 2016 pages portrait interview. Please, hit the inderlined and read it, if you understand Danish language. Quotes on the link from a big newspaper article in DK about the Woven Heart Art museum and the miniature universe of Lisbet Lark as designer and artist. 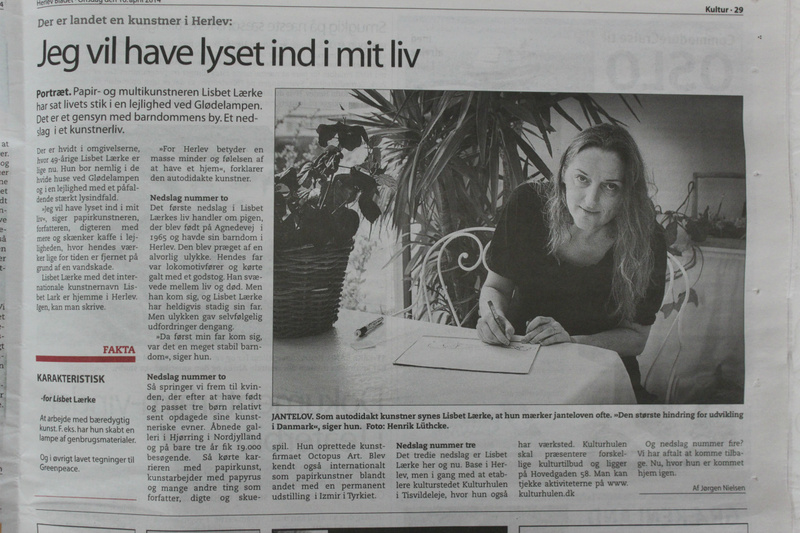 Article and video about Lisbet Lark and The Woven Heart Art Museum, Julehjertemuseet, in one of the biggest papers in DK. Artikel om Julehjertemuseet og Lisbet Lærkes kunstneriske udvikling i 2015. 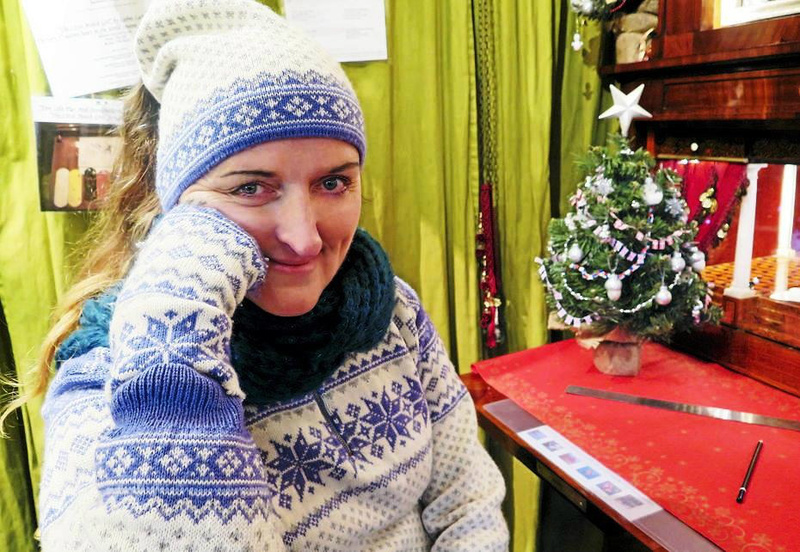 Please, hit the underlined in order to watch TV programe in Danish TV2 / LORRY from Dec. 2014. 10 into the programme she appears. 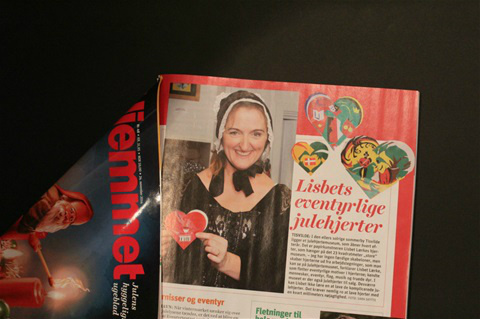 Article in the Danish magazine "Hjemmet" Nov 24th 2014. 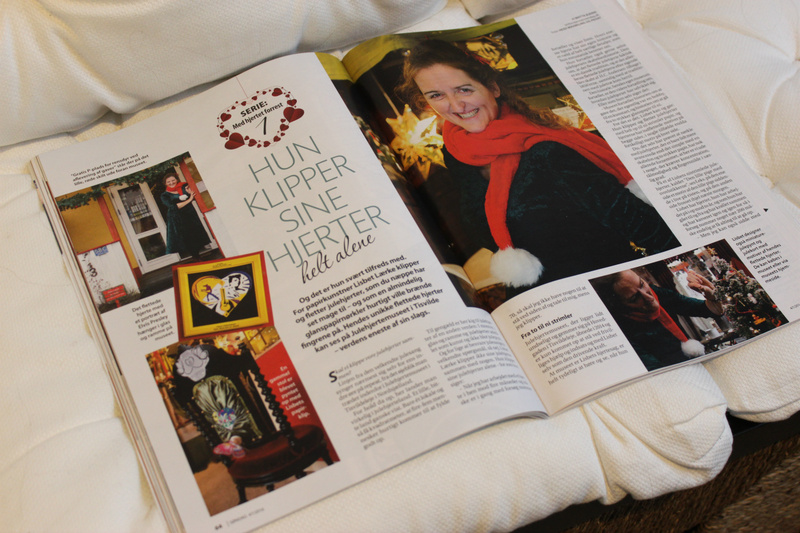 3 pages interview in Danish magazine "Hendes Verden," Nov. 3rd 2014. Klik på understregningen. Please, hit the underlined in order to read Danish article. 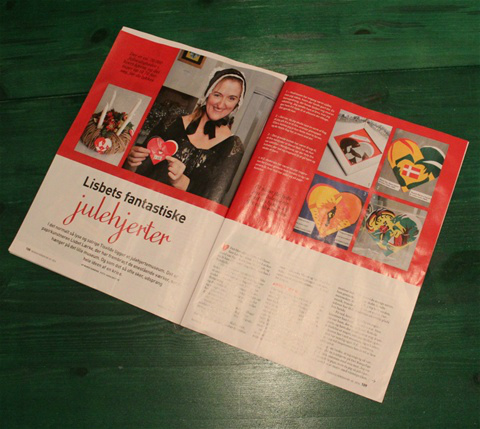 Helsidesartikel i Herlevbladet d. 14. april 2015.